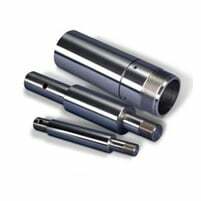 If you need full-length chrome-plated steel bar converted into finished hydraulic cylinder piston rods in one fully automatic operation, Bardons & Oliver CNC piston rod systems deliver. Respond to customer requirements in hours, not days. 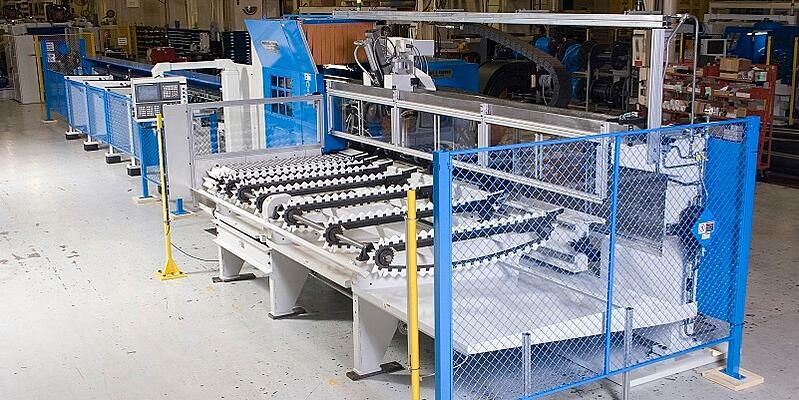 Quick system setup will make multiple parts runs in one eight-hour shift the standard for your daily routine. As an added benefit, hollow-bar (chrome-plated tubing) and “nitrobar” are also processed on these systems. Handle chrome bar diameters from 0.75" to 6.5"
Each of the above configurations can be part of the same one-step automatic manufacturing process. These features can be added to the rod in a matter of seconds with no additional handling or operator intervention. All surfaces that touch the bar, except for the full wrap collet pads are covered with nylon or Delrin® materials to protect the bar. Scrap resulting from nicks or dings occurring from parts moving through the shop will be eliminated with a Bardons & Oliver system. Further improving your production efficiency, the Bardons & Oliver automatic part unloader can perform as an element of your system, handling finished rod lengths from 6" to 28 feet long. Your team will maximize your response to customers. Get engineered solutions for your exact application. Our employee-owners design, deliver and support engineered solutions to the most complex manufacturing challenges.